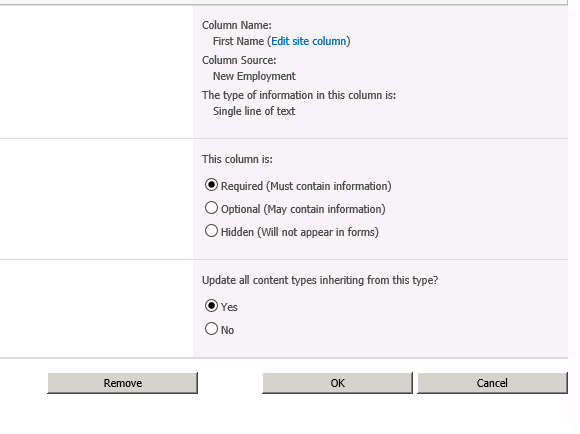 I was working on content types today and realized that SharePoint 2010 is forcing me to use Title Column which I didn't require. 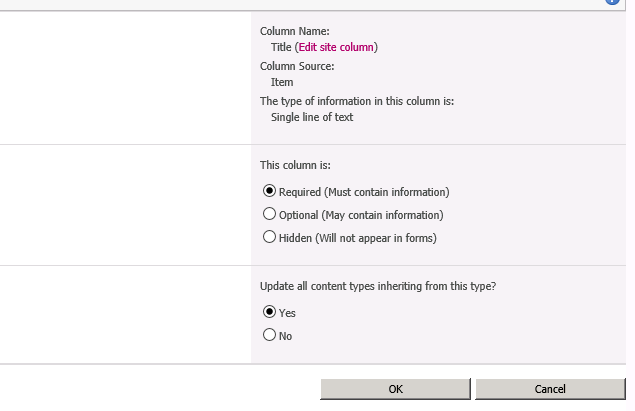 I wanted to remove this column but unlike other columns I added, I could not see Remove button. I googled for it and got to a post (just like you did) to be able to remove Title Column. Note: Always test the script on Staging / Test environment before running it on your Production environment. You also need to understand that removing this column will not remove it from any of the lists/libraries that are using this column. A little later I realized that I wanted this column back so I ran the following to get it back.